The State Department of Education has not publicly released statewide bullying data from 2015-16, although an administrative rule requires annual reporting at the end of the school year. In Idaho, administrative rules have the force and affect of state law. Until 2015-16, districts and charters were not required to report data on bullying incidents, although lawmakers and education leaders have supported anti-bullying laws, campaigns and initiatives that impact school functions and taxpayer dollars. The most commonly used bullying information is results of a 2015 student survey conducted by the State Department of Education. Department spokesman Jeff Church said verifying the 2015-16 data submitted by superintendents contributes to the reporting lag time. First-year collection has been challenging as educators refine and streamline their definitions of bullying and harassment. The department could not say which districts or charters received training. Records were not kept and there is no mechanism to track which districts accessed the online tracking sheet. Department officials originally said the 2015-16 data would be available in early fall. Church said last month the data will be available in mid-November. “Moving forward, the department will work to establish an earlier report deadline to adhere to the new rule,” Church said. 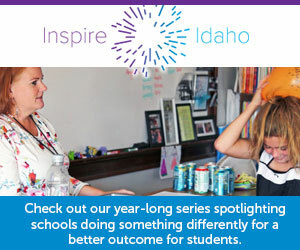 Idaho has over the last two years invested time and money into anti-bullying efforts. State superintendent Sherri Ybarra launched an anti-bullying campaign in September. Her initiative will be promoted on television and the radio, according to a press release. The Legislature signed House Bill 246 into law in April 2015. It amended existing law to make harassment, intimidation and bullying an infraction while adding an element of prevention and training. Districts and charter schools are required to provide annual and ongoing professional development to help staff identify bullying and intervene on victims’ behalf. Districts are also required to write their own anti-bullying policies, and students who commit acts of bullying may be subject to suspension or expulsion. Annual reporting is to occur at the end of the school year. An aggregate report is supposed to identify the total number of bullying incidents by school districts or charter schools, grade level, gender and repeat offenders. The department is asking educators to report bullying data in conjunction with the Safe and Drug Free Schools application, which is tied to funding. That information was due Oct. 31. Tying the two reports together was expected to streamline the processes and reduce paperwork. Rob Winslow, the executive director of the Idaho Association of School Administrators, said he had concerns from the beginning about collecting bullying data. “I think you’re going to find a huge variance if you don’t clearly define what to report,” Winslow said. The State Department of Education could not pursue a share of $241 million in federal grants, because it cannot use state dollars as a funding match. Idaho is one of only four states that does not fund pre-K, according to a new study. The White House wants to mothball a program now serving 7,500 Idaho students. But for now at least, the state still has enough money to cover another round of grants. This is the first year districts were required to report bullying incidents to the state and it will be used as a baseline measure to gauge progress. Fewer than half of evaluations reviewed met all the criteria, according to a State Board of Education report issued Thursday. School leaders say they want better direction going forward. (INSIDE: short video clip of the “salient” point).